HaasOnline is a trading platform which allows users to automate their trading strategy. 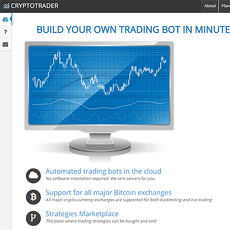 Users have access to the HaasOnline Trader Server which enables users to automate their strategies. The server is designed to be as simple and as easy to use as possible so users require no programming skills. 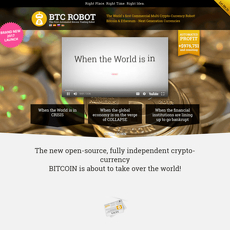 Bots can be automated for bitcoin but also for any altcoin pair that exchanges support. All major exchanges are supported by the software. The company was established in 2014. The payment plan and pricing is a three-tiered model. It requires purchasing a twelve-month licence which is a downside with some competitors only requiring monthly payments. Prices are currently 0.073 bitcoin for beginner package, 0.127 bitcoin for simple, and 0.208 bitcoin for advanced. Only bitcoin is accepted as a payment method. All exchanges, core features, and support (with priority support for advanced) is included in each package but the packages differ in terms of other features. Some features which differ are the number of bots you can have and the number of indicators. Users can upgrade their plan by paying the difference but the expiry date is not extended.